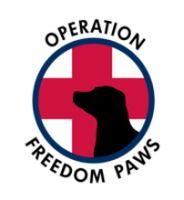 Operation Freedom Paws | Be their hero, donate today! Be their hero, donate today! Your donation saves many lives; from the shelter dog given a second chance, to the disabled client given an opportunity to regain their independence, to the client's family who is able to re-connect with their loved one. Make an impact by saving lives today! Leather Dog Lead-The communication line between handler and dog. Vaccinations & Micro-chip for dog. Dog food for three months. Sponsor a Service Dog Team and their family to stay a weekend at Tuolomne Trails for our organization field trips. Service Dog Starter Kit: Crate, bag of food, vest, training bag, service leads, food/water bowls, treats and a brush. Covers one year of Veterinary Services for a Team. Sponsors 30 Service Dog Teams and their families to attend our organizations Tuolomne Trails weekend. 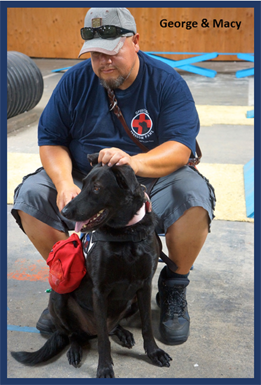 Sponsor a Service Dog Team! Donate 100% - Add 3% so that 100% of the donation goes to Operation Freedom Paws. Operation Freedom Paws has partnered with Network for Good to securely process your online credit card payment via Network for Good (tax ID 68-0480736). This transaction will appear on your credit card statement as "Network for Good." This transaction is subject to Network for Good’s Privacy, Security & Disclosure Statement and the Charitable Solicitation Disclosure.